This five minute Promo video was put together to show to the TN state legislature. We only had 10 minutes allotted and our goal was to succinctly describe what Service Learning is and to introduce the idea of merging local community services and educational content. Service learning specialist, Justin Crowe, talks about an early experience he had and why youth voice is such a large part of the Investigation phase. Stephanie Sullivan, Ann Saylor, and Nancy Dinunzio Dickson describe the student impact of the REFLECTION component of Service Learning. Anderson Williams speaks about the importance of re-framing the concept of service. 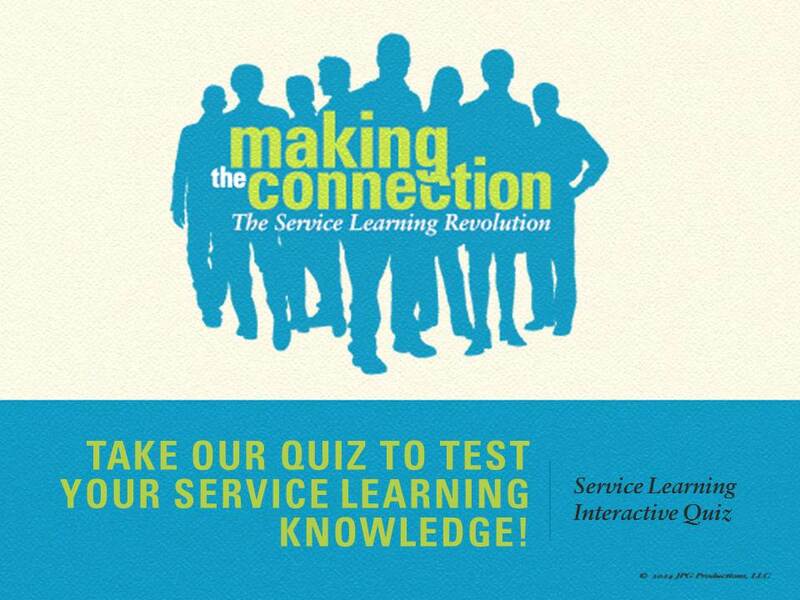 Anderson Williams talks about the importance of analysis in service learning. Renee Badon explains how to use Service Learning in a food drive. Here's a companion Power Point presentation to the movie. 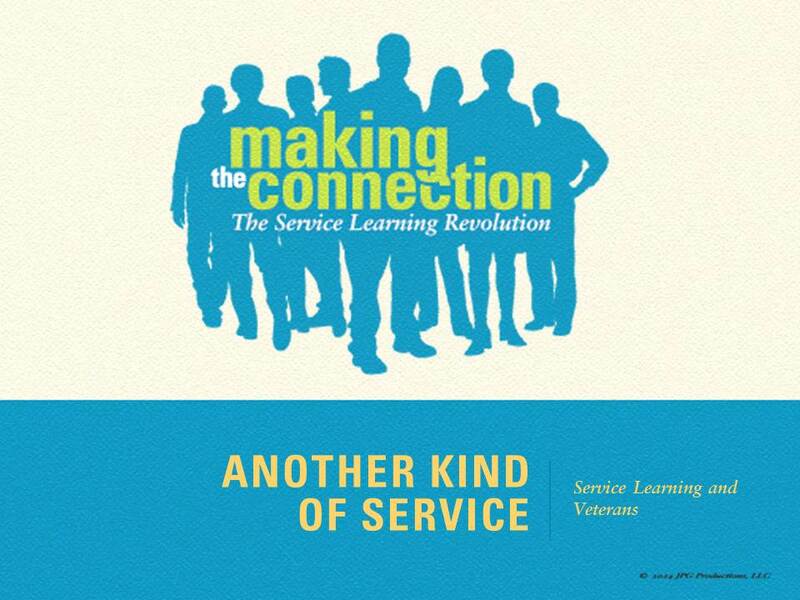 "Service Learning and Veterans" Power Point presentation. Here's a Power Point Quiz to see how well the audience retained the main points from the movie. Design by DivTag Templates. Copyright © 2014. JPG Productions, LLC..